Please fill out the necessary information and press the send button to contact us. We are happy for if you could please visit our school first and schedule a free trial lesson. Please book for a free trial lesson and interview from Monday – Friday. Our school visit and lessons observation start from 9:30, feel free to contact us which day is best for you. Please fill in the box, which day and time you wish to come. We offer classes: Kids English Class, After Kindergarten Class and After Elementary Class. If you are interested, please schedule a free trial lesson. Which class do you want to enter? 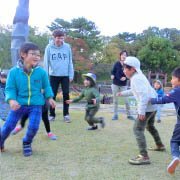 Pan International Academie Denenchofu offers fulfilling classes for the children’s needs. 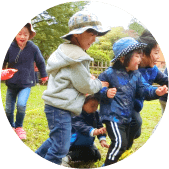 We provide children great experiences like learning English while exploring nature. 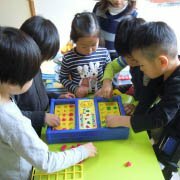 From a beginner to a returnee's kids, teachers will help them to improve their English level, with combined, structured phonics and reading techniques. They will learn English with foreign teachers, to help them prepare to go to elementary school. 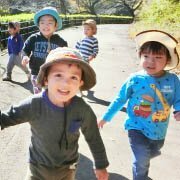 As we know, English is one of the fundamental requirements of Japanese education beginning in 2020. One of the most important subjects for primary school is English. 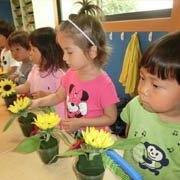 Preschool class where your child can learn English in an early childhood education. We understand, that it can be the first time a child spends time away from his/her parents, and it its truly important that this transition will be made smoothly and caringly as possible. Although, the questions I received from the parents are not easy, I have compiled everything and think of the answers strategically.